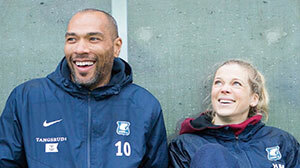 Former professional footballer John Carew teams up with Ane Dahl Torp to star in Norwegian drama Heimebane (Home Ground). They join the creative team behind the project to discuss the series, which centres on an ambitious female coach breaking into the men’s game. 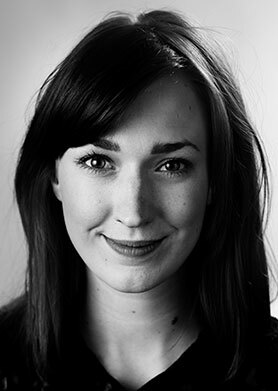 Ane Dahl Torp is one of the most famous actors in Norway, having starred in series such as Kodenavn Hunter (Code Name Hunter) and Okkupert (Occupied). But she nearly turned down the lead role in local drama Heimebane (Home Ground). She was in line to play Helena Mikkelsen, the coach of a successful women’s football team who leaves her job to become the first female coach of a Norwegian top-division men’s side. Ambitious and determined, Helena was drawn as a character willing to put a few noses out of joint to prove that women are just as good as men. To some, she wasn’t very nice. Then in between casting meetings, the scripts were changed and Helena was rewritten to be more likeable. In turn, she was more deferential in the way she spoke, a move Torp says “totally ruined” the character. “It upset me so bad I was shaking because I felt some man has read this and felt, ‘I don’t like her,’” she says. “Somebody has read this and said they don’t like her or I don’t believe in her or understand her, and it upset me so bad. For the first time in my life, I thought maybe men don’t like me if I don’t act like I want them to like me. So I took it personally, the whole rewriting. However, it was Torp’s reaction that earned her the part and forced the production to rethink the changes and revert to the original characterisation of Helena. “When I came up with the idea, I thought we needed a woman who was going to go into this club and say, ‘I know you don’t believe me because I’m a woman but I’m the right person for this job.’ That was a key scene in the first episode, and that also informed a lot about her character,” series creator Johan Fasting explains. “She needs to be driven, ambitious and not take any compromises. In the series, viewers follow Helena’s journey into a man’s world where she is not respected or listened to and attempts to overcome the ingrained bias against her. The biggest challenge for Torp, however, was to throw herself into the world of football, as she admits she wasn’t previously a fan. To help her become immersed in the sport, she spent a lot of time at her local club, Vålerenga IF, where she would spend days watching training and talking to the players and staff – even walking out of the tunnel with the players when they played a pre-season friendly against Manchester United last summer. 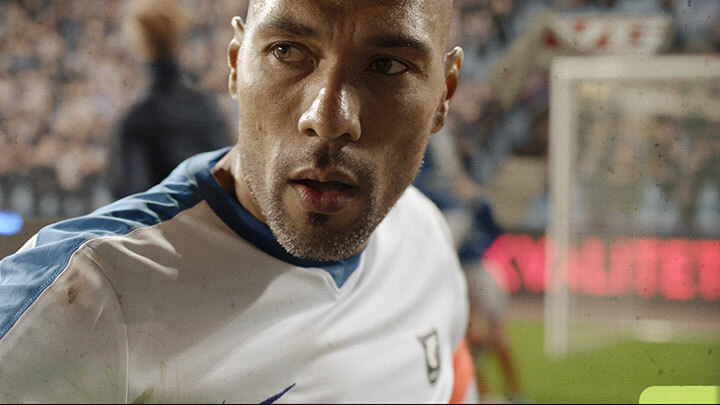 Torp’s co-star John Carew is no stranger to football, having played professionally in Norway, Spain, Italy, Turkey, France and the UK across a 15-year career that saw him make more than 90 appearances for Norway’s national team. So was he wary of taking his first major acting role in a drama about a world he knows more intimately than most? Carew plays Michael Ellingsen, a player who is facing up to the end of his career and the issues that come with it, such as his ageing body and the fact he is no longer the darling of the dressing room, with younger superstars fighting for the limelight. There are no aliens, time travel or high-concept elements to the series, but Torp still describes Heimebane as a science-fiction series, as the central premise – a woman leading a men’s football team – is yet to happen in the real world. Development on Heimebane first began in 2014, with filming taking place last year. But when executive producer Yngve Sæther first approached producer Vilje Kathrine Hagen and Fasting about making a series about a football club and its coach, they were both hesitant. “We love Friday Night Lights and we’re not going to do it better than that, so why do it?” says Hagen of his initial reaction, referring to the seminal NBC series about a high-school American football team. But as a writer, Fasting has always put women in the lead so they started to imagine a football series with a female coach in charge. Fasting put together a traditional writers room to flesh out the season, bringing together three other writers and a couple of consultants to help break down the plotlines. He would then write through each script before filming began. 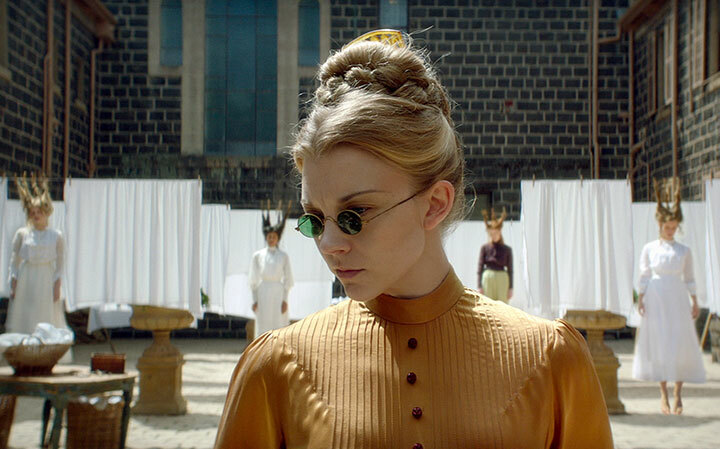 He also worked alongside lead director Arild Andresen, who shot the first two episodes, to set the style of the series, which they agreed should be authentic and visceral, with lots of energy. Filming took place both in the studio and on location in Norway capital Oslo, and the town of Ulsteinvik in the West, picked both for its stunning location among the fjords, surrounded by mountains, and its inhabitants’ passion for football. Match scenes were filmed at Ulsteinvik’s stadium and authenticity was particularly important as the show was set inside the real Norwegian Premier League, using real clubs and real players, though the club led by Torp’s Helena is fictional. 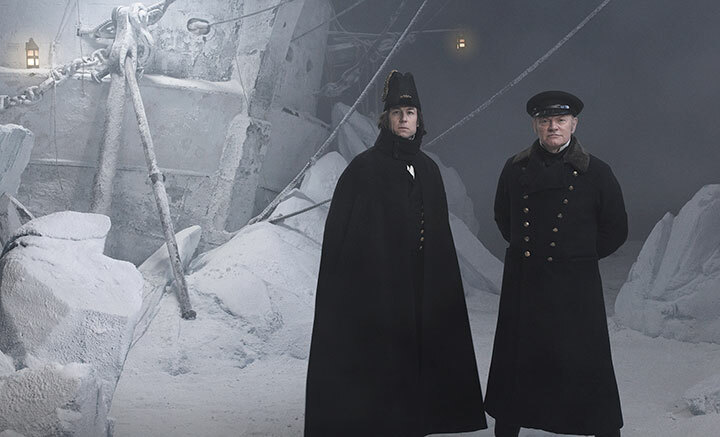 The stage is now set for a second season, which was ordered by broadcaster NRK before season one debuted in March. Season two is already lined up for a January 2019 debut.